Although not technically a PDRA race, it is 1/8 mile doorslammmer racing including all 3 of the PDRA Pro Mod classes, as well as Radial vs The World. I am personally jonesing for some Pro Mod. Brian Lohnes will be manning the mike (always a plus in my book), along with Bob Moles. A great way to kick off the 2018 season. 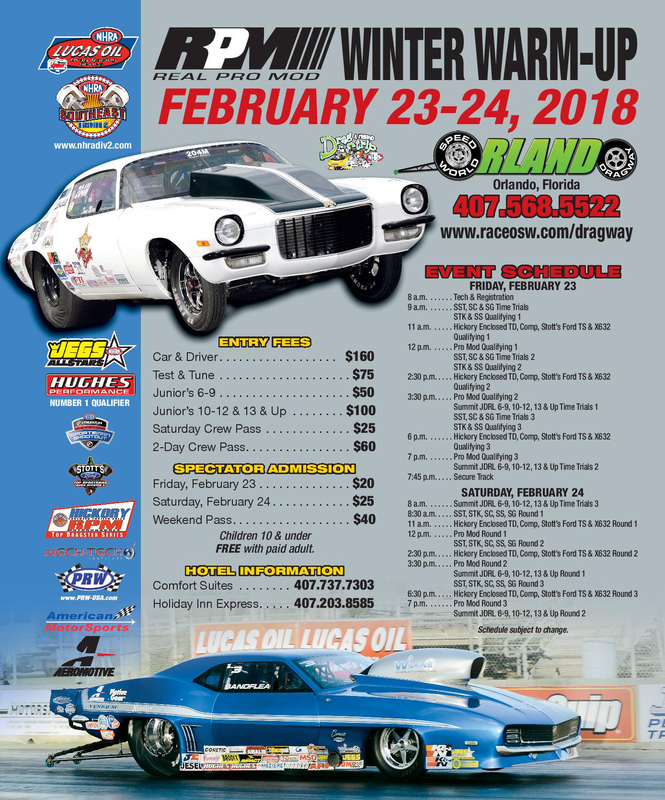 NHRA Pro Mods will have their Pro Winter Warm Up at the Div. 2 LODRS race at Orlando Speed World on February 23-24. Can't wait 'til the warm weather.